Loading... Developed By Leawo Software CO. | (Version 7.9.0.0) | 23rd of July, 2018 | (100% Clean – Tested). 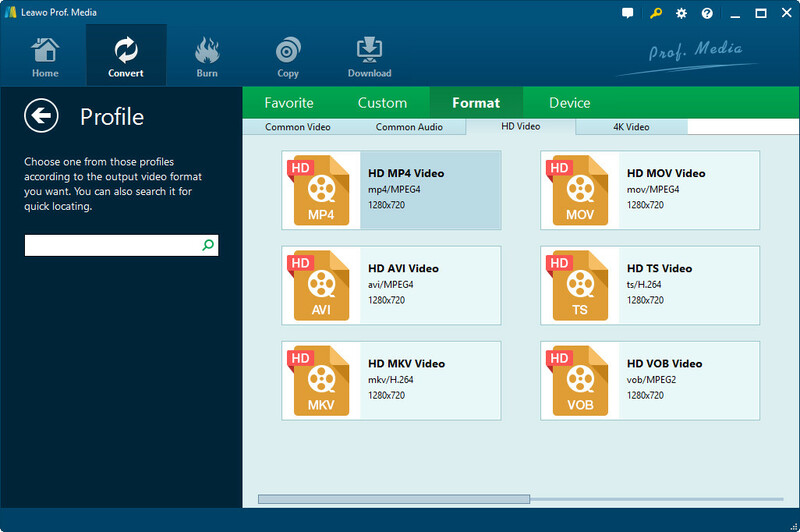 Leawo Blu-ray Ripper is an all-inclusive application developed to convert Blu-ray and DVDs to various audio and video formats including MP4, MMV, AVI, MPG, MP3, and WAV, etc. 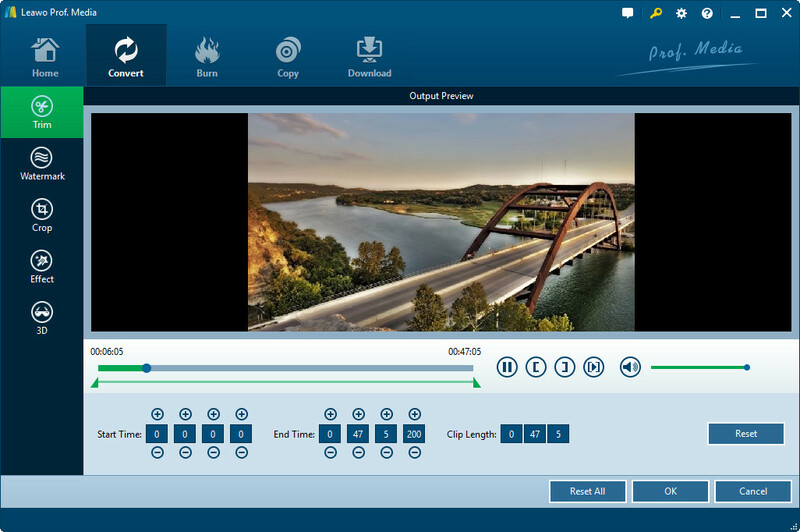 Editor’s Note: Leawo B lu-ray Ripper a two in one tool, provides Blu-Ray and DVD conversion, rips the videos to HD, 1080P, 4K and many other formats. On top of that, it retains the picture quality and enables the users to customize the videos as well, all at a reasonable speed. The application offers way more than the competitors, built-in Blu-ray player is the bonus indeed, well! It is a must-have for the Blu-ray enthusiasts.
. Nomenclature: Leawo Blu-ray Ripper.
. Updated On: 23rd of July, 2018.
. Setup Size: 106 MB. Ever since Blu-ray DVDs made an appearance to the world propelling the technology, writing to and from the compact discs have become a bit complex. Copyrights protect Blu-ray videos and the users cannot easily imitate them, notwithstanding, Leawo Blu-ray Ripper will proficiently rip and convert the Blu-ray as well as DVD to numerous formats. There is a built-in decryption tool which will excellently remove the copy protection, long story short, the tech users are no longer confined towards the utilization of these files on the specific gadget or devices, once after the conversion they can be played and watched on any computing device, smartphone, tablet, iPad and more. The application is proficient enough to extract the audio from the videos; again it can be saved into multiple formats and played on any device, MP4, MOV, 3GP, MP3, AVI, FLV and several other formats are available for the techies to convert audio for playback. Thus, it indicates that the application has all the Blu-ray ripper or converter can carry, conjointly, it offers more than its alternatives do. Compromises on the quality of 3D Blu-ray. Does not have a DVD Burner option. 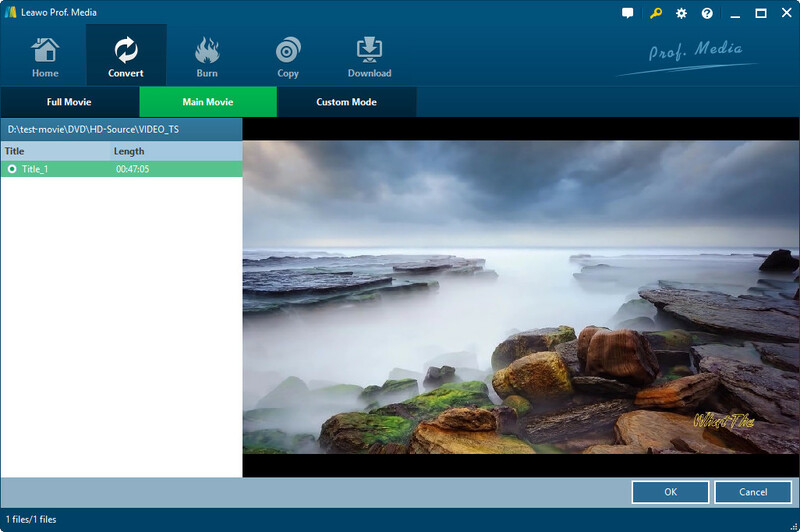 There is a Video editing tool in Leawo Blu-ray Ripper ready willing to work; it permits the user to customize the video and edit it as well, it can be trimmed, the basic image adjustments can be made for, brightness, contrast and more. Video editor enables to merge the chunks and create one movie, for instance, the videos are available as different chapters or clips, so it is quite annoying to switch to the new chapter, again and again, use merge tool and enjoy monotonous motion picture. Watermark and text can be added to the videos as well, in conjunction with this, if the movie is not in your local language, hang in there, choose the output language from the options and add subtitles as well, what else one could demand? The most surprising feature that might blow your mind is, 3D creation from 2D movies, yes! It surely will do that; also, there are six effects available that can be implemented to give depth to the videos. Wistfully this is not the optimum feature as it does compromise on the quality, the 3D results won’t be as good as the original ones, the developers have got their hand on it, good things come to those who wait so let’s hope for the betterment of this feature. Other than that, it retains the picture quality for all the videos converted into other formats, Blu-ray ripped in HD, 4K, 1080P or any other output will deliver the top-notch results. The tech users are no longer restricted to watch and enjoy Blu-ray discs on Blu-ray players alone; this application will rip and convert Blu-ray so that the user can watch them on the other gadgets as well. Its capabilities are not only confined to the video conversion, but the users can also extract the audio from the video file and save them in various formats. The software contains a built-in Blu-ray player, which enables the users to watch and enjoy Blu-ray movies. Along with the Blu-ray conversion, Leawo Blu-ray Ripper is able to convert the DVDs to multiple other formats and they can be enjoyed on numerous devices. Amazingly, the tool is capable of creating 3D movies, it can convert 2D movies to 3D, there are around 6 3D effects available that will help the users to create a top-notch 3D movie. All the 2D movies converted to 3D using this program can be played on various 3D players. The user is free to customize the content, crop the videos, adjust the brightness, contrast, volume as well as other video effects, over and above watermarks and text can be added as well. Various professional video editing features are onboard like Video Size, Frame rate, aspect ratio and more. The Blu-ray and DVDs converted using this application can be saved into various formats, and they comprise of a long tabulation; also, such videos can be played on numerous gadgets. This program is purely on the way to accommodate its consumer as much as it can, so if the movie is not in your native language, no problem at all! Just select the Subtitles language from the output. If the movie is comprised of several clips or chapters and it causes disturbance betwixt when one episode or clip ends, so get rid of the hassled and merge all of them to rejoice a smooth movie experience. File Size: 106 MB (111149056 Bytes).